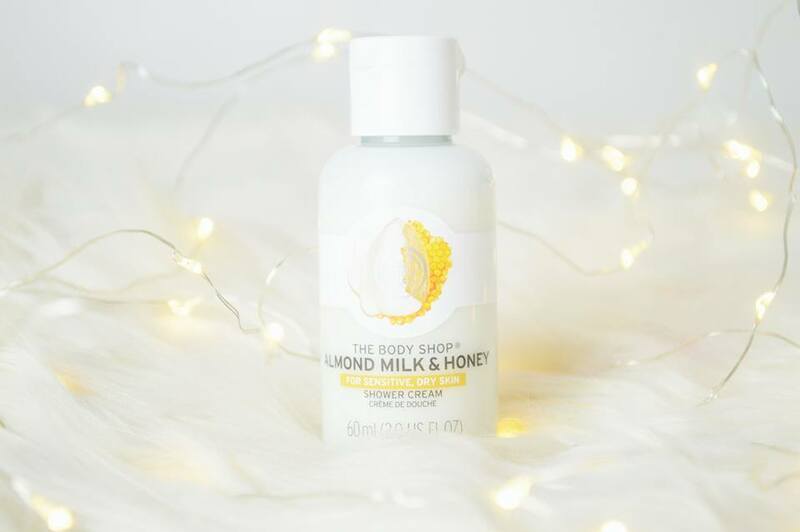 If you didn't know, The Body Shop has recently launched a new range of incredibly scented products which have been designed specifically for dry and sensitive skin: hooray. As a sensitive and dry skin sufferer myself, I've always found it difficult to use The Body Shop products because I found my skin always reacted to something in the formula. However, I no longer have this issue as I have found the most wonderful range out there. Now, I can't lie, I do absolutely love the scents in The Body Shop, but by far this new range is my favourite scent of all. 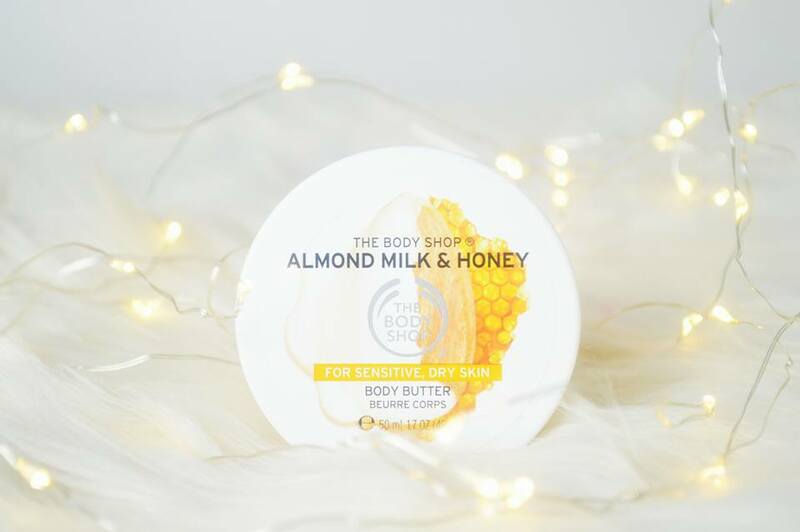 Of course, it's the almond milk and honey range; don't you just want to eat it? If your skin has taken the real battering from the colder months and you're still suffering from dry flaky skin then you don't need to worry anymore. 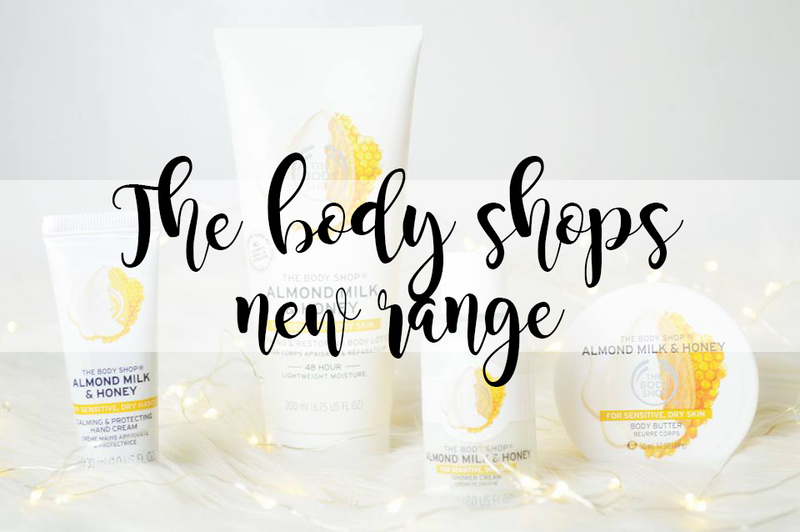 Try out The Body's Shop's Almond Milk and Honey Range and let me know the difference it makes to your skin! I have been using this for a few weeks now and the results are wonderful. I no longer have to worry about waking up to dry legs every single morning, as all I do is apply this to my skin in the evening before I go to sleep. Whereas, with other products I would have to moisturise in the evening and again in the morning to battle the dryness. The range includes everyone's favourite products but for me, I am definitely a shower person (as I don't have a bath in my house so I have no choice). The Body Shop has brought out a soothing and caring shower cream which you can pick up for only £2 or £5, depending on which size you would prefer. For a sensitive skin based shower gel, where you no longer have to worry about them skin reactions; that £5 is completely worth it. Especially when you smell incredible afterwards too. There is also the soothing and restoring body butter, another one of my favourite products. I say it's one of my favourites, but they're all my favourites. You can pick this up for either £6 or £15, also depending on the size that you would like. I absolutely love the largest size because you are given a lot of body butter and it lasts forever, but this tiny pot is perfect for travelling over night. Hand creams are always up my street, I absolutely love them and use them every single day. When I found this in the little package, I was in love. I had to put it on straight away. 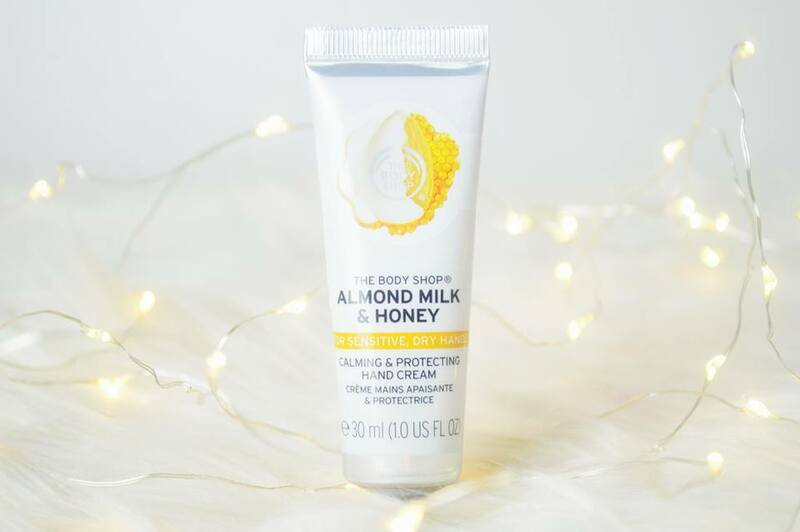 Of course this is the calming and protecting hand cream, also in the amazing almond milk and honey scent. You can pick this up for an incredible £4, but trust me; if you apply this you'll just want to sniff your hands all day. It's that good. But you will have your friends asking to borrow it. Last but not least is the soothing and restoring body lotion, the product which I have been using every single day since the moment I received it. I absolutely love how this isn't a runny consistency but it's not as thick as a body butter either. It also makes life easier when you have fake nails and don't want to put your nails into the body butter and scoop it out just to apply it. With this you can just squirt it into the palm of your hand and boom; no product underneath your nails. You can pick this up for £8.50, which again is another great price; definitely worth it. 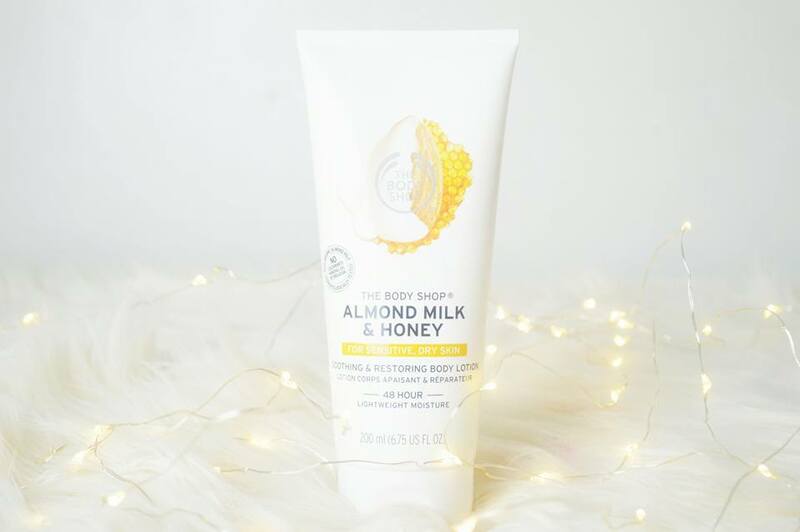 The Almond Milk and Honey Range is available online and in store at The Body Shop; definitely check them out!